Description: This outstanding bamboo has been growing successfully here at Bamboo Grove for a number of years, with its blueish white culms and erect form it makes a beautiful feature bamboo contrasting well in any landscape. 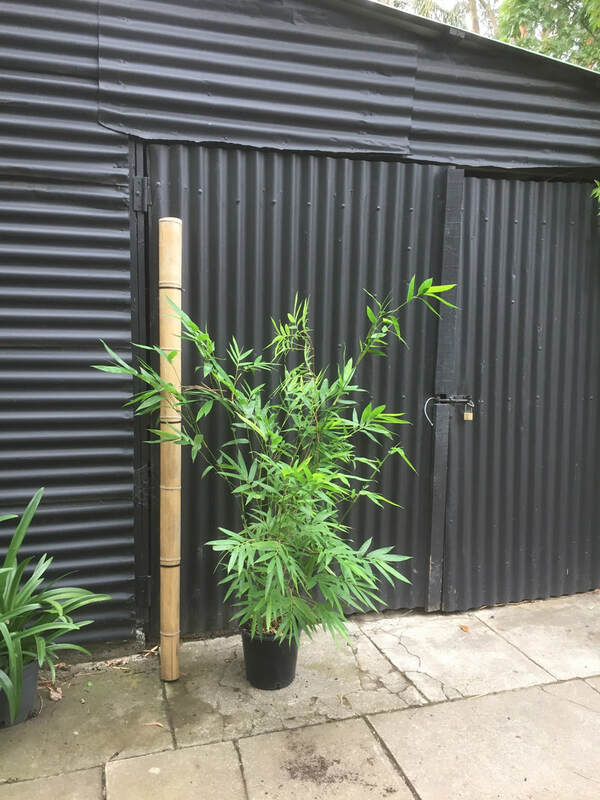 Description: Gold Stripe makes a good shorter growing screen option with a nice compact growth habit. It has attractive dark green foliage with a gold stripe on the lower part of the culms, also easily grown as a potted plant. 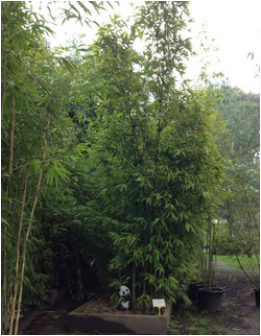 Description: Himalayan weeping bamboo has an elegant gently cascading form with slender culms, it prefers a cool and shaded position. It will make a nice contrast in a fernery or looks good around a pond, with masses of fine foliage it looks quite stunning, Himalayan weeper does well in a pot and can also be used indoors. (Size E $89) - 30cm pot, approx. 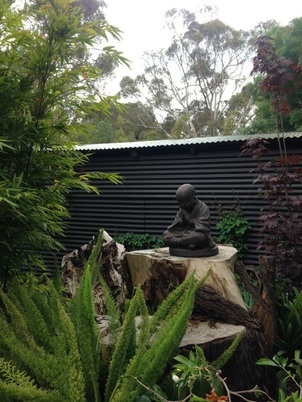 1.8mtrs tall - currently Available. 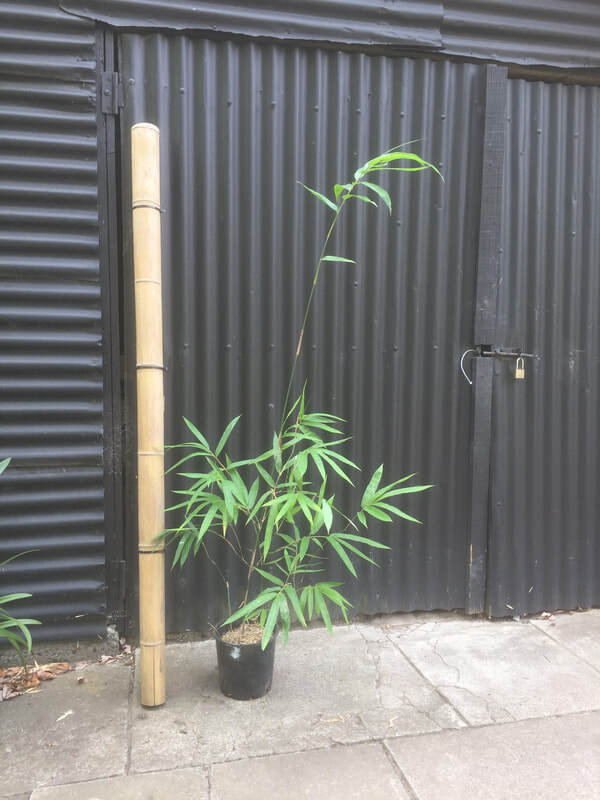 Description: A smaller and equally impressive version of Chungii, quite new to Australia and sure to be popular with bamboo lovers with its compact shape and great colour. 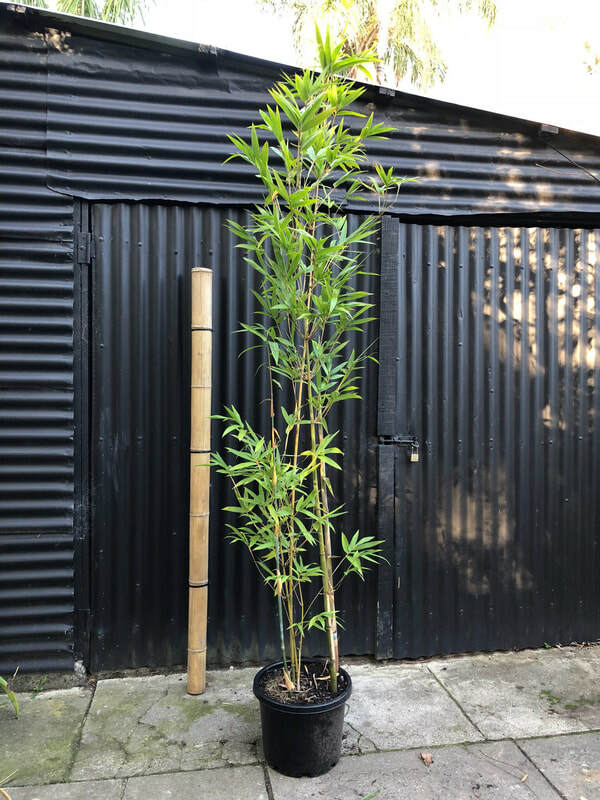 Description: A great looking bamboo that grows well in sun or shade with an open base, where it's interesting green stripes contrast strongly on golden culms. 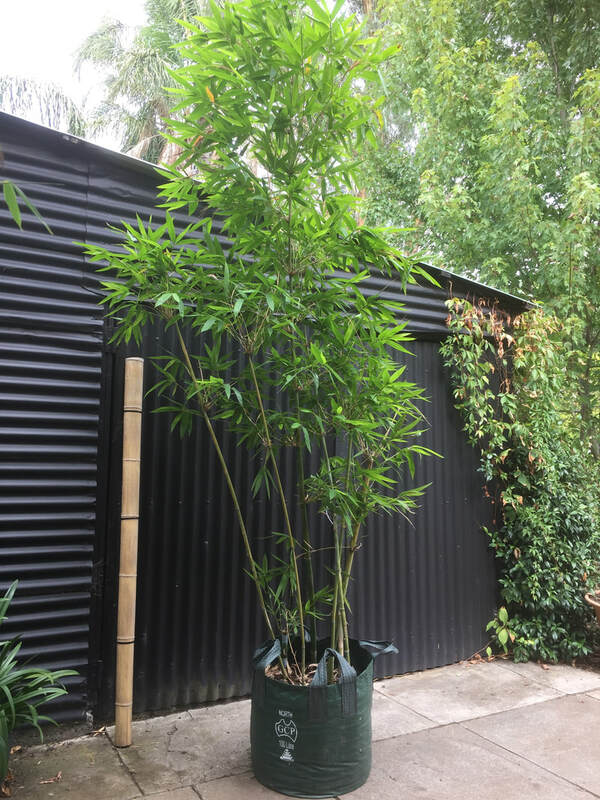 Also know as 'Asian Lemon' the leaves display some stripes this bamboo is among our most popular and is in limited supply. (Size F $110) - 30cm pot, approx 2mtrs tall - currently Available. Description: The culms are characteristically pink when they first appear. 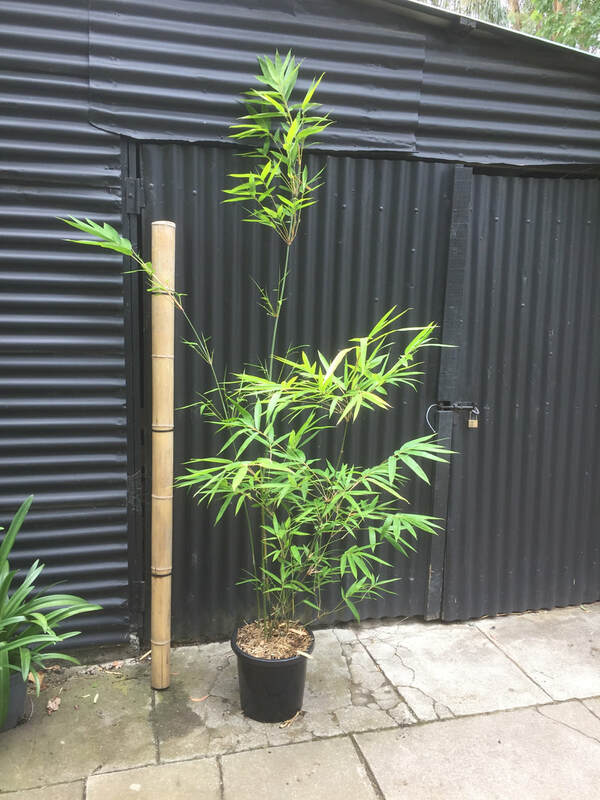 A very attractive bushy bamboo with many of the leaves being variegated with a distinctive white stripe, suitable as a screen or it grows well in pots. (Size F $110) - 30cm pot, approx. 2mtrs tall - currently Available.